This article was one of three that I wrote for the April 2016 Register-Guard’s Destination: Retirement, a special annual publication with resources for retirees or those set to retire. Wills and revocable living trusts are both common terms in estate planning. Both apply to distributing assets, but the two documents, although they are sometimes related, serve very different purposes. A will provides instructions about distributing property after a person’s death. Most living trusts are “revocable” because they can be changed along with circumstances or wishes, and they are “living” because they are established while a person is alive. A will only goes into effect when you die, while a trust takes effect as soon as you create it. Whether you need one or the other depends on many individual factors that are best sorted out by an estate planning professional. 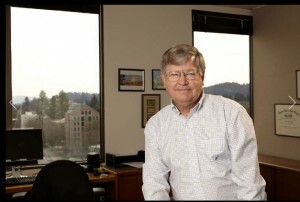 Stephen Lane, an estate and trust attorney at Gleaves Swearingen in Eugene, says there is no simple estate. “Everybody has complexity,” he says. The basic questions to sort out are whether the people planning their estate are married or not, with children or with children from multiple marriages or step-children, and if there is real estate outside of the state. As the size of the estate grows, more questions arise about how best to distribute the assets. That situation hopefully can be avoided, Lane says, by having a conversation to learn if the people are willing to commit to carrying out an equitable division among the different children. “If not, you then have to set up a trust, and probably with someone other than the surviving spouse as trustee, to assure yourself that assets you have on your side of the ledger go to your own kids,” he explains. Lane says a minimum set of documents that every retiree should have are a durable power of attorney to allow your agent to deal with investments, and you want that agent to be someone you absolutely trust. A second recommended document is a health care directive, Oregon’s form of a living will. 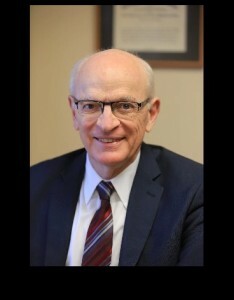 Eugene attorney James Smith, who has been an estate attorney in Oregon for 44 years and 26 years in Eugene, also recommends at a minimum a will, a power of attorney and medical documents like advanced directives. Smith works primarily with revocable living trusts. Smith says, statistically speaking, one spouse is likely to become mentally disabled over time, and most people don’t provide for that possibility. Trusts help avoid probate, which can be a lengthy, expensive legal process whereby a will is “proved” in a court and accepted, and conservatorship, where a judge appoints a responsible person to care for another adult who cannot manage his or her own care or finances. Smith offers seminars to help people understand the importance of planning for a disability situation. “Most people are just thinking about ‘what happens when I die?,’ and it’s very likely like that in a married couple at least one of them is going to be disabled before both of them die, so there needs to be some way to fix that in the planning.